Wigan have signed Chelsea defender Patrick van Aanholt on a season-long loan. 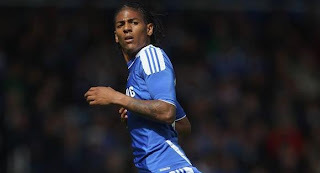 Martinez had been scouring the market for creative and defensive talent, but a move for van Aanholt came after Chelsea technical director Michael Emenalo offered the Dutchman to several Premier League clubs. The 20-year-old left back, who can also play on the wing, has spent time in the Championship with Coventry City, Leicester City and Newcastle United after moving from PSV Eindhoven in 2007. The left-back, who celebrated his 21st birthday on Monday, signed a four-year deal at Chelsea in May and will join Roberto Martinez's side for the rest of the campaign in order to gain first-team Premier League experience.